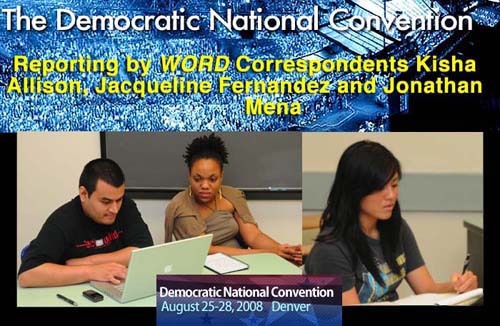 Former WORD Senior Editor Jonathan Mena, far left. 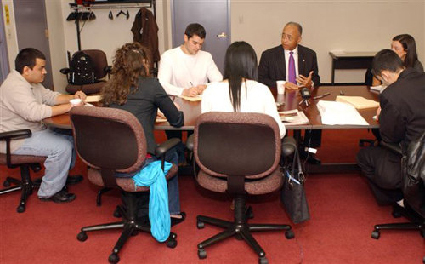 Former WORD Senior Editor Daniel Allen, sitting to right of William C. Thompson, Jr. when he was the NYC Comptroller and is now Chair of the CUNY Board of Trustees. The other students are from Columbia U. and NYU. All were invited to meet with the Comptroller who was reaching out to NYC college students. 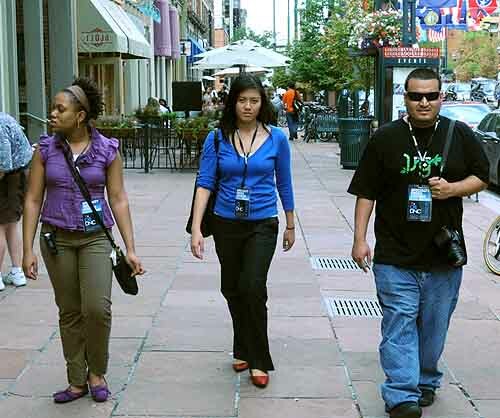 Kisha Allison, Jacqueline Fernandez and Jonathan Mena cruising Denver streets for a good restaurant. 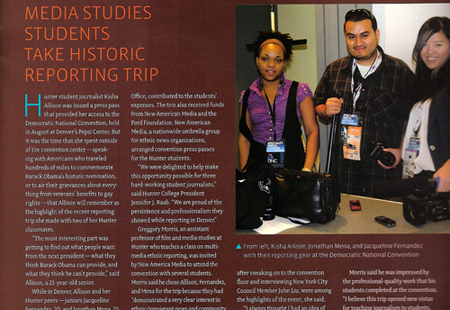 They were in the city for the 2008 Democratic National Convention, covering the nomination of Barack Obama. 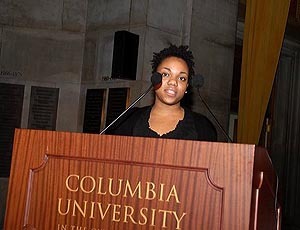 Former WORD Senior Editor Kisha Allison, recipient of the Ramona Moore scholarship from the National Association of of Black Journalists, New York City Chapter. 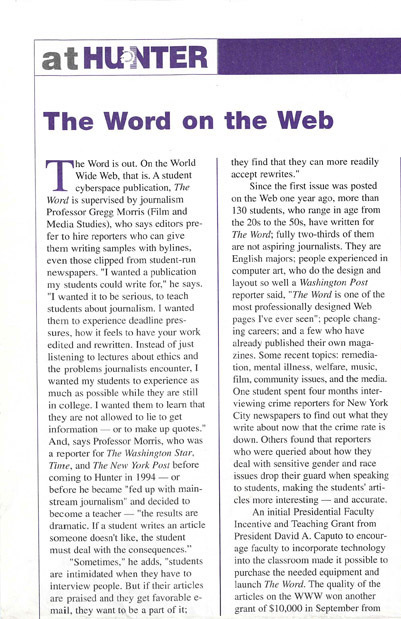 This entry was posted on Saturday, March 31st, 2018 at 5:04 pm and is filed under Blogroll, I Recall the Moment, Journalism, Student Journalism. You can follow any responses to this entry through the RSS 2.0 feed. Both comments and pings are currently closed.